Ok! Im No Psycho UFO Beilever, Its Fun And Yes I Believe. In to boys just the same as you guys!!! Please Take The Time To Chose Or Prepare An Avatar. People will Scrutinize Your Page (profile,Favorites & Uploads More Closely If You Don't). Im Not One Of Them!!!! Now down to busyness. The Oxford English Dictionary defines a UFO as "An unidentified flying object; a ‘flying saucer’." The word was first used in print by Donald Keyhoe in 1953. The acronym "UFO" was coined by Capt. 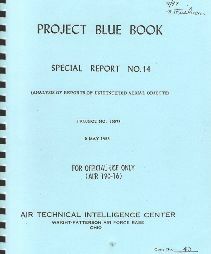 Edward J. Ruppelt, who headed Project Blue Book, then the USAF's official investigation of UFOs. He wrote, "Obviously the term 'flying saucer' is misleading when applied to objects of every conceivable shape and performance. For this reason the military prefers the more general, if less colorful, name: unidentified flying objects. UFO (pronounced Yoo-foe) for short." Other phrases that were used officially and that predate the UFO acronym include "flying flapjack", "flying disc", "unexplained flying discs", "unidentifiable flying object", and "flying saucer". The phrase "flying saucer" had gained widespread attention after the summer of 1947. On June 24, a civilian pilot named Kenneth Arnold reported seeing nine objects flying in formation near Mount Rainer. Arnold timed the sighting and estimated the speed of discs to be over 1,000 mph. He described their movement like "a saucer skipped across water," leading to newspaper accounts of "flying saucers". (see Kenneth Arnold UFO sighting for details). In popular usage the term UFO came to be used to refer to alien spacecraft. and because of the public and media ridicule associated with the topic, some investigators prefer to use such terms as unidentified aerial phenomenon (or UAP)or anomalous phenomena, as in the title of the National Aviation Reporting Center on Anomalous Phenomena or NARCAP. The equivalent acronym for UFO in Spanish, Portuguese, French, and Italian is OVNI (Objeto Volador No Identificado, Objeto Voador Não Identificado, Objet volant non identifié or Oggetto Volante Non Identificato), pronounced as oAn sne word (ov-nee).